Noel Chandler is a Co-Founder and the CEO of Mosio. He is responsible for the creation, communication and implementation of the company‘s vision, strategies and partnerships. Under Noel’s leadership, Mosio has won multiple awards and grown into a leading mobile messaging software company serving thousands of customers. Noel was published in "mHealth Innovation: Best Practices from the Mobile Frontier" (HIMSS Books, 2014) and served as a U.S. Trends Editor for The Futures Company, an international strategic insights and innovation consultancy for 7 years. Noel received his bachelor’s degree in psychology from the University of Kansas. His passions include surfing, wearable technologies, and traveling with his family. Jay Sachdev is a Co-Founder and the CTO of Mosio, and has spent the last 8 years designing and managing the development of Mosio’s mHealth enterprise-level text messaging platform. 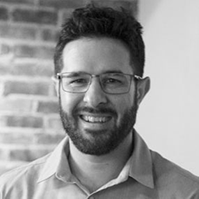 Jay is responsible for managing Mosio’s team of engineers, designing the technology platform, and continually improving Mosio’s product offering. Prior to Mosio, Jay worked in a variety of industries, from semiconductor device modeling to creating custom software to manage business workflows. He spent some time at MIT’s Lincoln Laboratory, automating the testing and analysis of devices exposed to x-ray radiation. He brings nearly 20 years of software development experience to Mosio. Jay received his Bachelor of Science degree in Electrical Engineering from the University of California, San Diego. Outside of work, Jay enjoys spending time with his family, hiking, and fixing things around the house. 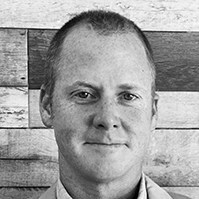 Jesse Hicks is Head of QA & Compliance at Mosio. He is responsible for Mosio’s Quality Assurance Program and ensuring that Mosio’s applications are compliant with FDA and international regulations for Mobile Medical Applications. Jesse’s work as a consultant has helped 100’s of customers to define QA Strategy and obtain and/or maintain compliance to a variety of industry standards. Jesse brings 25 years of QA and software process experience to Mosio. Jesse enjoys spending time with his family and volunteering. He was also a professional BMX rider and has been known to unglue his laptop from his legs for a quick “exercise” break to ride his bike. Marilyn Teplitz is the founder and principal of MGT Associates, an international consulting firm founded in 1998. She and her firm have helped dozens of healthcare, software, payers, life sciences and technology companies substantially increase growth and realize their revenue goals and exit strategies. She is dedicated to economic development and business growth in healthcare and volunteers as Advisor to Tallwave’s Healthcare IT High Tide, Chair of City of Phoenix’ Technology Committee for its Healthcare Sector Partnership, National Conference Reviewer for HIMSS Annual Conference and member of Arizona’s Bioscience Roadmap Steering Committee. She is a member of the Board of Directors of Meritus, Arizona’s insurance cooperative health plan. Marilyn received her MBA from Wharton Graduate and is a HIMSS Fellow. Nadia Bracken, pharma-industry blogger and Clinical Trials Manager has over a decade of Phase I-IV clinical operations experience. Ms. Bracken has expertise in study oversight for a variety of therapeutic areas for trials in the US, Canada, South America, and Europe. She has worked as a Clinical Research Associate and Clinical Data Manager for biopharmaceutical companies and CROs in her passionate pursuit for optimizing clinical trials. Ms. Bracken is the author of “The ClinOps Toolkit” and "The Lead CRA" blogs and finalist and Bronze recipient of the Pharmatimes 2010 US Clinical Researcher of The Year. She connects and inspires like-minded professionals through Bay Area meetups, online events, and forums. Sheila DeGroff performs technical writing and document management activities for Mosio as well as Quality System and compliance guidance. Sheila has a bachelor’s degree in English. She has 17 years of IT experience; the last 13 years in the life sciences industry include multiple projects for many major pharmaceutical companies.